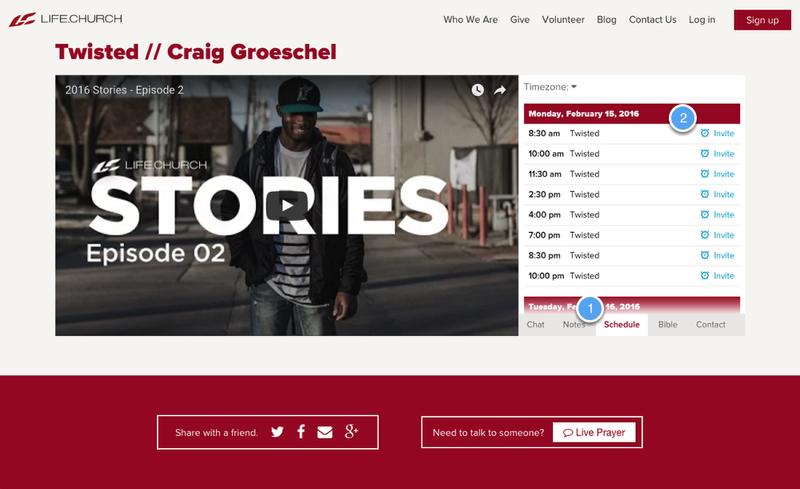 Event reminders help reengage visitors with your Church Online service. 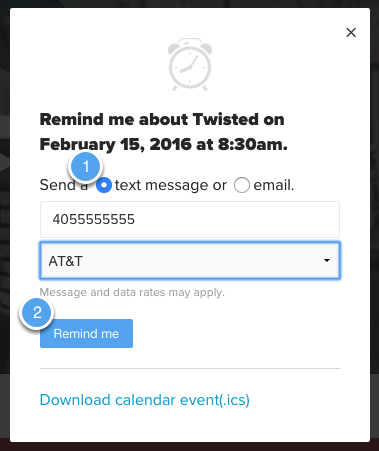 Visitors can receive event reminders via text, email, or calendar. There is nothing that you will need to do to activate Event reminders, they will automatically show as a small clock icon next to all of your upcoming events. To access the reminder icon, click on the "Schedule" tab. From there, click the small clock icon located next to the Event. There are a few ways that you can reminded about upcoming events. The first is via text message. The visitor will add their 10 digit number and select their carrier. They will then be reminded of the event via a text message message when the event starts. The second way a visitor can be reminded is via email. By simply adding their email and clicking "remind me". 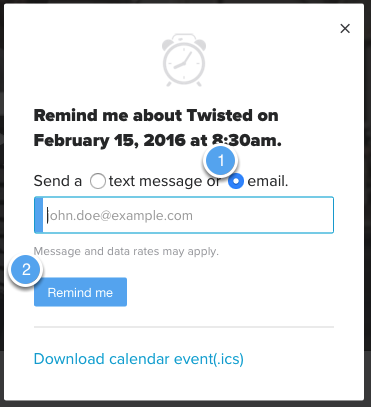 When the event begins, the visitor will be sent an email with a link back to the event. The final way that a visitor can be reminded is by calendar event. 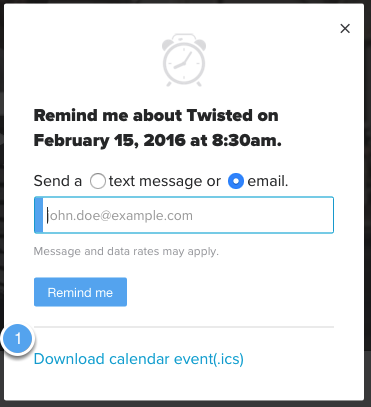 By clicking "Download calendar event (.ics)" a file will be downloaded to the visitor that will allow them to save to their mail client. Works with most mail clients.